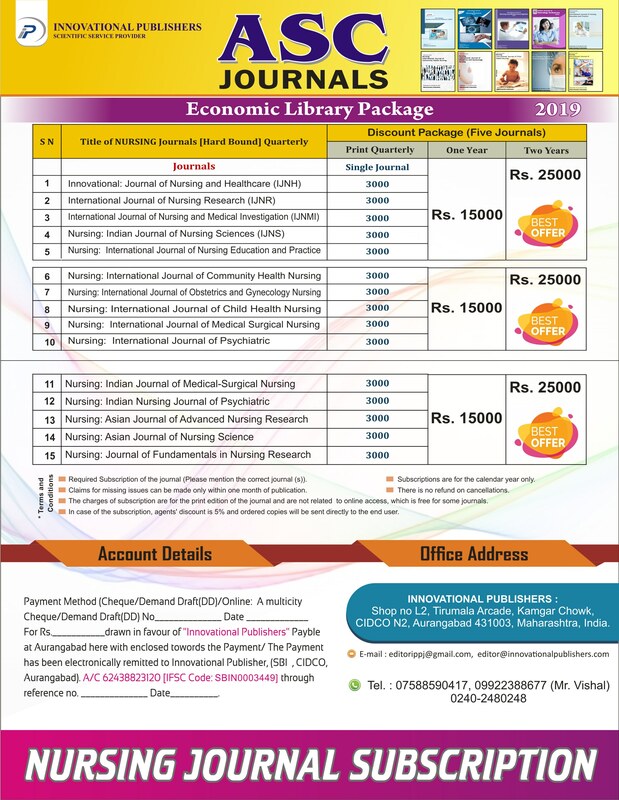 WELCOME to Indian Journal of Nursing Sciences (IJNS) provides a forum for articles on all aspects of higher degree nursing academics education, research, and management. This peer-reviewed international Journal is concerned with the whole spectrum of skills, knowledge, and attitudes utilized by practitioners in any setting where adults or children, and their families are experiencing critical illness. Further, it also supports the research methods relevant to nursing, midwifery and other health-related professions. The Indian Journal of Nursing Sciences (IJNS) particularly welcomes studies that aim to evaluate and understand complex healthcare interventions. The journal also seeks to advance the quality of research by publishing methodological papers introducing or elaborating on analytic techniques, measures, and research methods. Additionally, Nursing in Health Care is covering any aspect of critical care nursing practice, research, education or management system. Nursing in Health Care covers the diverse specialties of critical care nursing including surgery, pediatrics, medicine, obstetrics, accident, emergency, cardiac, renal, neurosciences, hematology and neonatal.